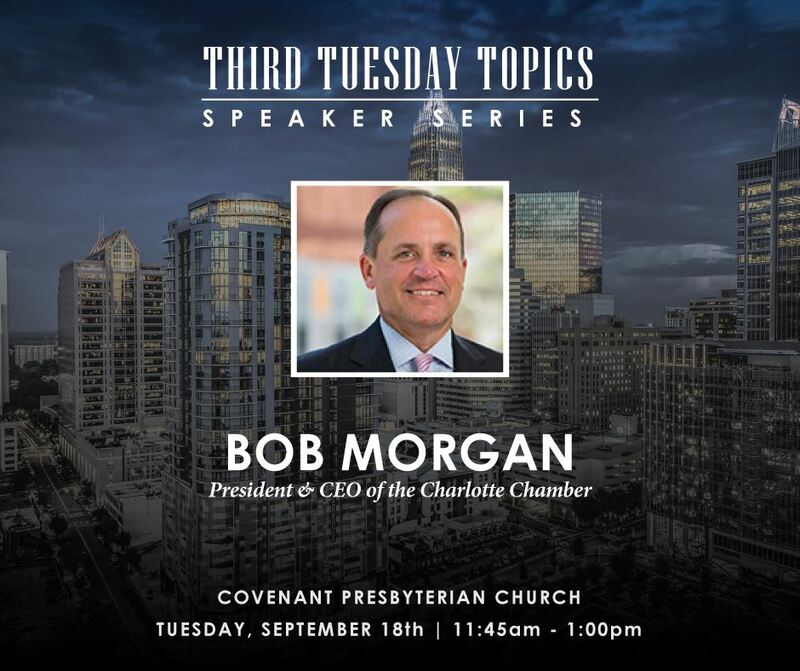 As president and CEO of the Charlotte Chamber, Bob Morgan oversees all aspects of the nonprofit’s operations, including its finances, economic development and pro-business public policy efforts, member engagement programs, and sales and communications. The chamber is a membership-based, volunteer-led organization with more than 3,300 members and a staff of 45. Morgan was named president and CEO of the Charlotte Chamber in 2005. Prior to his current role, he served as president and CEO of the Gaston Chamber from 2002-2005, and began his chamber career in 1991 as a Charlotte Chamber staff member. Morgan previously served as district director for Congressman Alex McMillan. He is a graduate of the Institute for Organization Management, the professional development program of the U.S. Chamber of Commerce Foundation. He also earned his designation by the American Chamber of Commerce Executives (ACCE) as a Certified Chamber Executive (CCE). In November of 2013, he completed the Leadership Decision Making: Optimizing Organizational Performance program, an executive education course offered by the John F. Kennedy School of Government at Harvard University. Morgan is a graduate of Independence High School in Charlotte, N.C., and the University of North Carolina at Chapel Hill. He is married to Margaret (Meg) Brennan Morgan and is the proud father of two teenage sons, Robert and Jack.